This past Saturday Upswing Poker’s Doug Polk entered the Spring Championship of Online Poker event 43-High. On Sunday, the second day of the event, he walked away with the first place prize of $115,000. It was a $2,100 buy in event with 1 rebuy 1 addon and the total prize pool reached over $500k. After a long 9 hour grind the final table was nearing with Doug’s stack around the tournament average. It was then that Doug found himself on the right side of the ultimate cooler against Andy McLEOD with aces vs kings all in preflop. After winning that pot, Doug cruised his way to the final table with a 100 big blind stack. Day 2 of the tournament started bright and early at 7am with Doug sitting third in chips with 419k, good for 80 big blinds. However after a grueling several orbits Doug’s stack fell to as low as 15 big blinds before winning a flip with K7s against the 55 of zcedrick. With six players remaining Doug played a key hand at the 4,000/8,000 chip level. The action folds to Doug on the button who raises 18k with . 3p3NIPA defends his big blind with a 30BB stack that Doug covers slightly. 3P3NIPA fires a bet of 17k, which Doug calls. 3P3NIPA follows up with a bet of 37k. Doug decides to turn his hand into a bluff and goes all in for just over 200k. 3P3NIPA thinks for a moment before settling on a fold. Doug spends the next hour treading water with his healthy 50bb stack, eventually finding himself heads up vs Sk2ll_m0dR, a high stakes MTT regular with a 3 to 1 chip deficit. 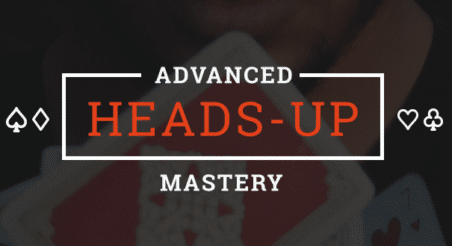 Doug wasted little time demonstrating why he is considered the best in the world at the heads up format, continually chipping up until finally grabbing the chip lead. After an hour of heads up play the largest pot of the tournament took place with the blinds at 10k/20k. Flop which leads to two checks. Doug follows up with another overbet, this time for 525k into the 385k pot. After a short tank Sk2ll_m0dR jams all in for just under 1M chips. Doug moans to the twitch viewers and in the chat box before dejectedly calling, only to see Sk2ll_m0dR turn over a full house blocker bluff with T6o, sending the SCOOP title and $115k Doug’s way. This was Doug’s second huge win on twitch, having won an all time streaming record $160k just a few weeks prior to SCOOP in PokerStar’s $700 buy in Kilimanjaro tournament. To watch more amazing tournament runs live be sure to follow www.twitch.tv/upswingpoker. Subscribers of the twitch stream can watch the entire VoD of this tournament, and any others, from start to finish.